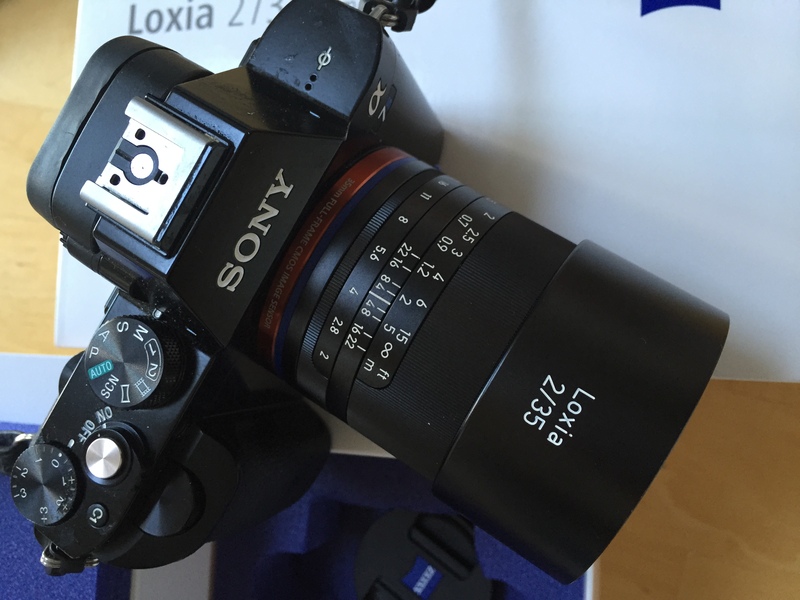 Yesterday, Zeiss set me a Loxia 35mm f2 lens to use. I have been wanting this lens since it was announced as I have seen from numerous websites that the lens appears sharper in the corners than M-mount lens on the Sony A7 series of cameras. I am going to find out if this is true for myself. I do a lot of street and documentary based photography and I need to have a focus scale on my lens which the Loxia does and unfortunately the Sony/Zeiss lens do not because of their design. I love the auto focus of the Sony/Zeiss lens but for certain types of work that I do I need to have the ability to prefocus the lens and work with zone focusing. It is primarily to do with how quick I need to be when working and it is also to do with unscripted moments that having this ability with manual focus comes in very handy. For my type of photography I have for a long time liked using lens around the 35mm to 40mm focal length range as these render the world as I see it. Not to wide but with sufficient depth of field that I can work quickly when making images. This is why I particularly excited to get this lens as it will enable me to work easily with the wonderful Sony a7 camera system. I have used Sony cameras for a while now and sometimes I had this slight desire to return to the days when I used a Nikon FM2 film camera with a 35mm lens now I feel that I have got back to that simplicity with the combination of small powerful camera and manual focus lens. Today I have a smile on my face as I go to use this lens for the first time properly.